Although YouTube has streamed live before in the past, this event has some nice touches that make it unique. During the show, viewers will be able to chat live with one another on the site (via Twitter) and can also donate to Bono's RED charity by means of a "Donate Now" button on the screen. 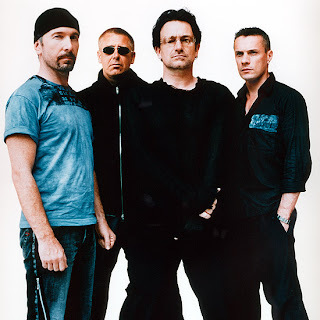 In 1997, U2 streamed a live Boston concert from its PopMart tour on MSN, but this one incorporates the interactive experience and the philanthropic angle that was lacking back then. So, set your DVR for your favorite Sunday shows and get comfy in front of your computer. It promises to be a legendary experience.